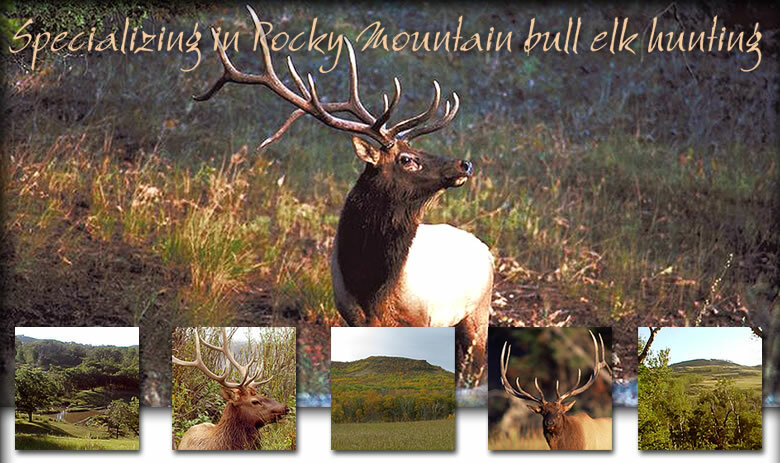 Established in 1998, the Killdeer Mountain Outfitters provides a hunting preserve specializing in Rocky Mountain bull elk. It is a place for busy people to relax and enjoy a peaceful mountain setting and harvest a trophy elk, which is generally impossible to find in the wild. Killdeer Mountain Outfitters offers a three day guided elk hunt, ensuring a first-class trophy elk. We provide all-inclusive meals and accommodations in our new 1,200 square foot lodge. Whitetail bow hunting is also available; however, a North Dakota deer license is required. Pheasant hunting is coordinated through Hunting for Humanities and produces some of the best bird excursions in the area. Browse through the site links for important hunting information. The testimonial page has comments from successful hunters who have graciously shared their Killdeer Mountain Outfitters experiences. Our "Number One" goal is to provide our customers with an affordable, satisfying hunting trip.